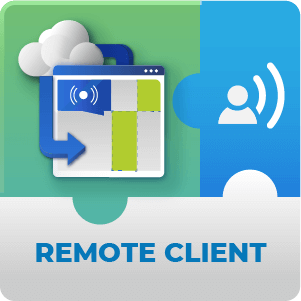 CM Ad Manager Remote Client add-on super powers the CM Ad Manager plugin by letting you run campaigns simultaneously across multiple WordPress sites. 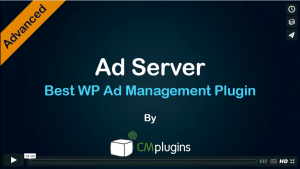 This add-on supports numerous remote WordPress sites using the same ad server so you can easily coordinate campaigns across an advertising network from a single dashboard. This add-on can only be used with the CM Ad Manager and Server Pro Plugin. If you’re using our ad server plugin for your WordPress advertising campaigns and you wish to increase the number of remote WordPress sites served by the server plugin, you need this Add-On to the Ad-Changer server to get more advertising space. 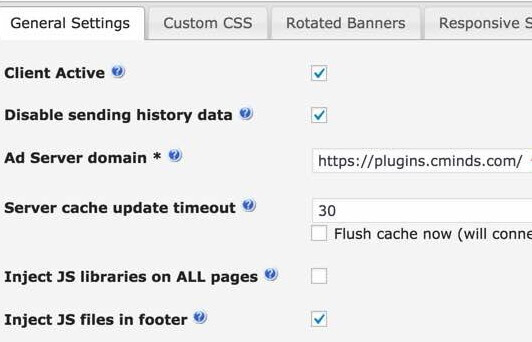 You can purchase additional Ad Manager Client Plugin licenses and connect ad many as 200 client sites to the same WordPress ad server. 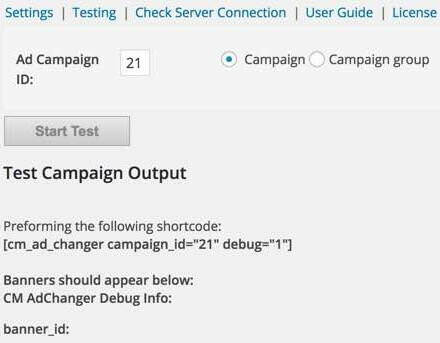 The ad-changer client will allow you to configure the client plugin so you'll be able to display your campaigns which are already defined in the server plugin, on the local WordPress site where client plugin is running. 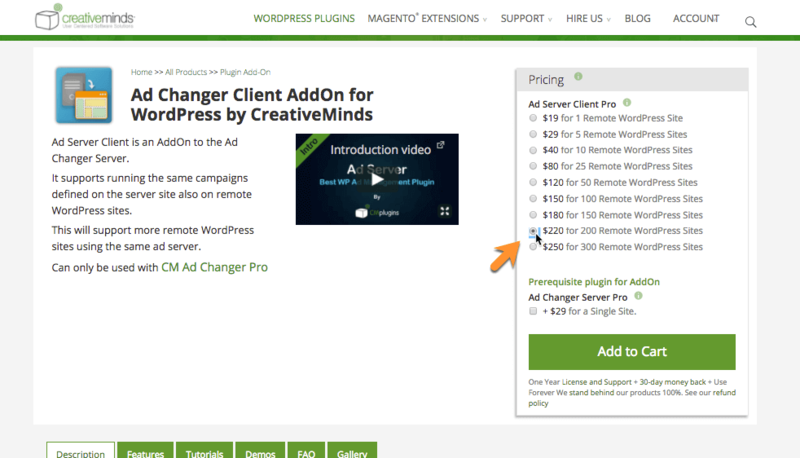 The client plugin only works if you already purchased the CM Ad-Changer Server plugin and want to run the same campaign on additional WordPress sites. 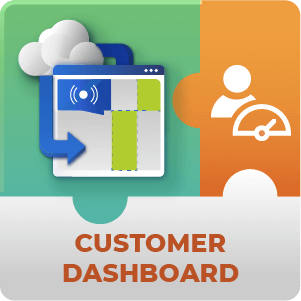 To purchase the CM Ad Manager and Server plugin, please visit here. This diagram shows how one Ad Manager Plugin can serve multiple WordPress website running the Ad Manager Remote Client Add-on. You need to have Ad Manager and Server Plugin plugin installed before using this addon. They are two halves of the Ad Server system, the reason they are separated is because it’s more common to need more client side plugins than server side. How does the pricing and licensing for this add-on work? The pricing options for this add-on range from single site to bulk licenses for hundreds of ad clients. If you buy the 200 Remote WordPress Site option for example you will receive the plugin file and a license key with a 200 activation limit. You can then install the plugin zip file and use your activation license key on many different sites. Can I download this plugin without the Client Server add-on? 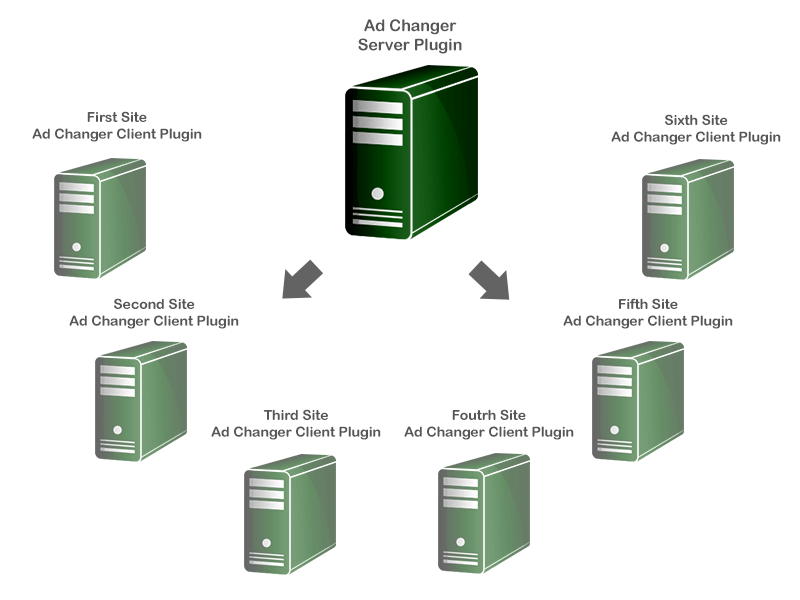 The Ad Changer Client add-on and the Server core plugin don’t work without each other. The Server serves ads to the Client. You can download the Client add-on without the server but unless you or someone you work with already has the Server plugin that you intend to connect it to it won’t work on it’s own. Not without your admin approval. Your can approve client websites via the server side ‘approved domains’ section, in accordance with your purchased license type.